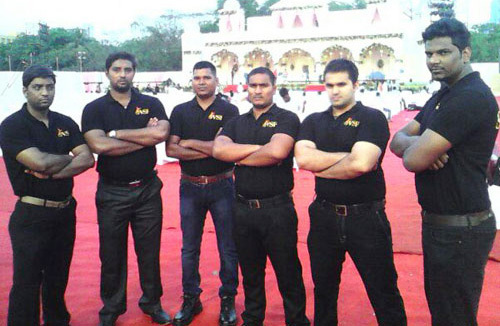 Shree Vinayak Security Force are known and respected for having sophisticated, high class and elite protective services. Our team of both male and female guards is discreet and professional with a substantial amount of experience. Each guard can manage verbal and physical conflict without damaging their client’s name. 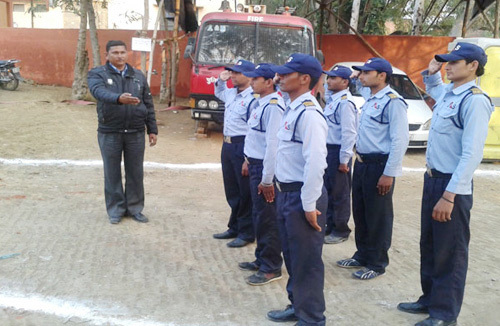 Shree Vinayak Security Force is also able to provide fully trained and qualified team of female only guards. Our experience and expertise is at your service to provide an outstanding quality services, state of the art Security, Facilities Management and our customized consultation to client’s who value efficient professional Services. Shree Vinayak Security Force goes beyond the traditional services to be a one-stop-shop for your customized needs. We are fully licensed to perform professional services such as Security for Events, Shopping Malls, Residential and Commercial Complexes. In addition to that we provide Solutions and Management to Valet parking, Traffic and Car Park management and Corporate and Executive Protection. Shree Vinayak Security Force is prepared to offer a special, customized service to meet all of our client’s and resident’s needs; with assurance that our Management, Training and Control system delivers the solution required on a responsive and timely basis. There is no substitute for a close coordination between client and Shree Vinayak Security Force for this system to work efficiently and smoothly on a continuously exceptional basis. Our expert consultants will work closely with you to find the most suited, valuable, convenient, cost-efficient package for your security needs. All these operations are carried out by fully qualified and trained officers. All security guards are reviewed periodically for promotion to higher ranks according to post availability and based on the evaluation by their superiors and the feedback of the clients. Through our experience we have developed a package that makes contracting out your safety and security department cost effective and more efficient, allowing your managers to focus on their core business. Our key strengths are continuous education and training, either through our in house training division or alliances with other training professional firms.